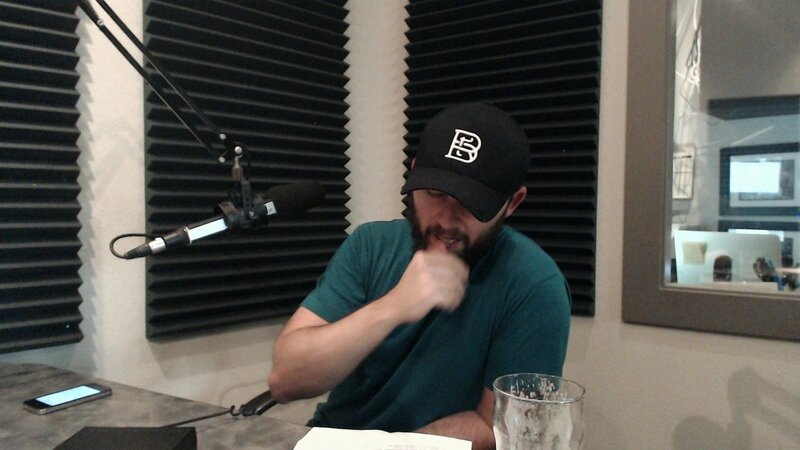 I love homebrewing podcasts. There are a lot of different kinds of homebrew media out there, but podcasts is one of the ones I explore the most (in addition to internet/blogs). I enjoy all the magazines and books that are written but I don’t have much time to sit down and read. In my one and bit hours of driving to and from work every day I have some time to work through podcasts. I’ve been listening to homebrew podcasts almost every day for the last 2.5 years so by now I consider myself to be pretty on top of things and finally in a good position to write a loose review of some of my favourites. I can’t say that I am an expert on the subject. I haven’t listened to every episode in existence, but I’ve heard quite a few. I’ve listened to at least half of the Brewing Network podcasts (and there are a lot of them), many of the Basic Brewing Radio podcasts, and entire libraries of some of the smaller ones. I’ve put hundreds of hours into listening to this form of homebrew media so hopefully I have some good insight. Some of these are going to be local to my region (Toronto, Canada), some of them are going to be more general brew instead of just brewing. Hopefully this overview is of some use to you. I use the Podcast Addict app to subscribe and manage my podcast downloads. Just search for the podcast name and it can usually find it. It checks every 12 hours for new releases so I can initiate download of them over WiFi for listening in the car. I used to download on my PC and manually copy to my phone, but that was a pain. I can’t believe I used to do that… The app keeps track of which podcasts you have listened to in case you forget. It also allows you to delete ones you have already listened to, to save storage space. It also gives you the ability to manipulate play speed, I sometimes listen to podcasts at 1.5x if I find it too dry. *Click on the heading to go to the home page for each podcast. *Italicized text is quoted from podcast homepages, all logos are property of the respective pofcasts. If you are a homebrewer you need no introduction to the Brewing Network. They are certainly the most popular podcast group. You may or may not enjoy their podcasts depending on how much tolerance you have for immature jokes and banter. I personally don’t mind too much so I enjoy listening. One thing I want to stress is that their different shows are hosted by different people, so each show will have varying amounts of banter. Also, they are the only major podcast to have dedicated ads in their episodes, which can get annoying when you hear the same crude Hop Tech ad for the 100th time (seriously, why do they play that commercial?). 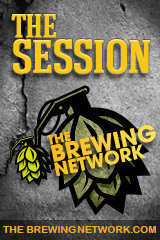 The Session is their flagship show and is the one to avoid if you have a lower tolerance for banter. This show is hosted by Justin Crossley and the rest of the BN crew, all of whom have become homebrew celebrities since the show has been going for 10 years. The content is decent if you are willing to sift through the banter to get to it. They talk about their guest brewery’s methods, beers, and challenges. The episodes are quite long, sometimes 3 hours or more, which is a multi day commitment for me. Good entertainment value, but not necessarily the best place to learn. 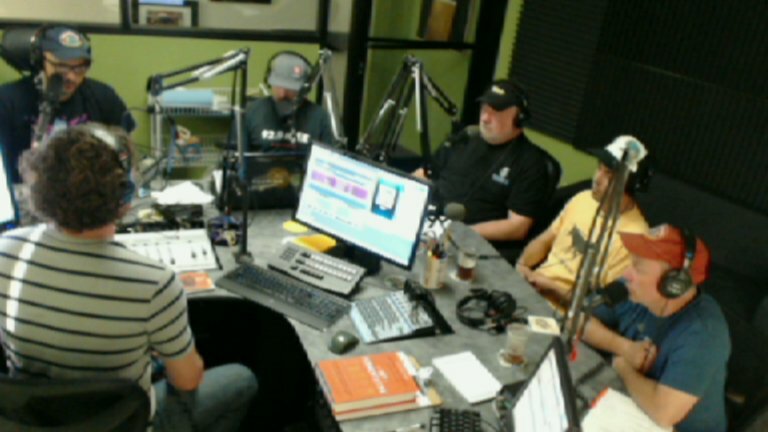 This is the show I started with, hosted by Jamil Zainasheff (two time Ninkasi Award Winner and owner of Heretic Brewing) and John Palmer (author of How to Brew). It started back in 2008 by tackling topics in dedicated episodes. These original episodes were very good since you could tell they put a lot of effort into preparing content. These days it’s mostly just Q&A with listener questions, also the amount of banter has increased over the years. I still like the new episodes, but they can be hit and miss depending on the questions they are tackling. If you are a new brewer, go back and starting listing from the beginning, the content is worth it. This is one of the few podcasts I’ve listened to every single episode of. One of my favourites. As a new beer judge, it is very useful to hear the language and thought process of two Master judges. If you are studying for your BJCP Tasting Exam, this is a must listen. Brian and Lee are very good judges and take the job seriously. It can be a bit dry and repetitive if you listen to a bunch of episodes in a row, but if you take your time and mix it up with other podcasts you’ll catch up in no time. The banter is much lower than the flagship BN shows like The Session and Brew Strong. One of my favourite podcasts. I’m a big fan of wild and sour ales so it’s really cool to hear interviews and Q&A with the best sour brewers in the world. A lot of cutting edge info in this podcast, must listen if you want to make your own funky and sour beers. Very little immature banter in this podcast, just a few fun jokes. One of my favourite episodes is when they featured Rob and Jason from Allagash, Jean Van Roy from Cantillon, and Vinnie from Russian River, all at once in panel format! 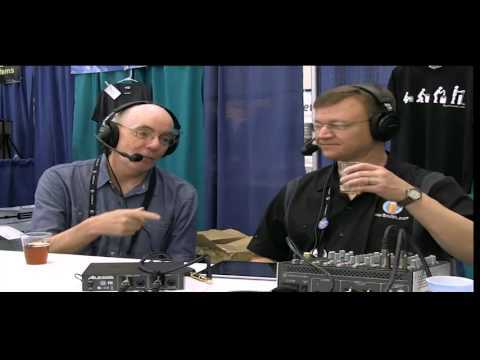 This show has been running since 2006 and is the 2nd oldest show on the BN. It has three different iterations: “The Jamil Show” from 2006-2008, “Can You Brew It” from 2008-2012, and “Brewing With Style” from 2013-present. I’m a big fan of the original Jamil Show from 2006-2008, co-hosted with Jon Plise. This is where they goes through each classic style with an award winning recipe, and discusses what makes each style tick. This is also the time when he was writing his fantastic book, Brewing Classic Styles with John Palmer. The newer Can You Brew It and Brewing With Style have quite a bit more banter. I admit I never got past the 2008 episodes since I moved on to other podcasts after finishing the original series. I may revisit some CYBI or BWS episodes in the future if I am short on what to listen to. Host James Spencer does a fantastic job of differentiating his podcast by interviewing a much wider array of guests than the BN does. However he doesn’t get as many celebrity brewers and authors on the show. His guests are usually passionate homebrewers that have done something interesting and want to share the results. The show has been going since 2005 and has over 300 episodes to listen to. I probably haven’t event listened to half of them yet, but I have been following along weekly for at least 2 years, as well as gone back to cherry pick episodes that looked interesting. Some people may consider this podcast a bit dry since it isn’t as shock and awe at the BN shows, but I enjoy it a lot and highly recommend it. I’ve been exposed to a lot of strange topics through BBR that I wouldn’t have thought to research myself. The recent mushroom episode was quite interesting. 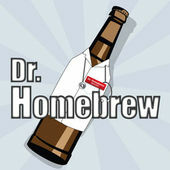 The BeerSmith software should need no introduction to homebrewers, this podcast is hosted by the creator of the software, Dr. Brad Smith. He does a great job of getting well known brewers (both home and professional) to join him as guests. I’ve learned some real cool nuggets of information from this podcast, especially in episodes with Charlie Bamforth. It can be a bit dry at times, but the content is quite good. This podcast is hosted out of one of Toronto Brewing, a local homebrew shop in Toronto. I enjoy listening to it because I have met most of the guests and the content is very good. Kevin and Zack have great chemistry on the air so it makes for entertaining radio. I’ve even been a guest on two episodes! It’s on a bit of a hiatus at the moment because Kevin has been super busy, but I’m hopeful they are able to keep it going (poke poke Kevin). Definitely recommend, some of my USA friends have even been listening and enjoying so it’s definitely not just for locals. Aaron’s podcast is on a bit of a hiatus at the moment as well, but I’m hopeful that he will continue. 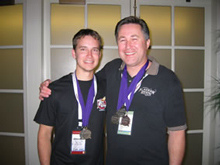 He created a few really good episodes where he talked about the beer judging process and his experience judging competitions. 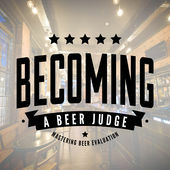 Definitely recommend if you are interested in becoming a beer judge, ha! Hosted by Chris Schryer of Toronto Beer Blog and Mandie Murphy, co-founder of Left Field Brewery. This duo has good on air-chemistry to keep things entertaining. The podcast isn’t really about homebrewing, but instead focused on the local to Toronto beer scene. Recommend if you are a craft beer fan from around Toronto. This is a podcast sponsored by the Ontario Craft Brewers and hosted by Mirella Amato Master Cicerone and author of Beerology. 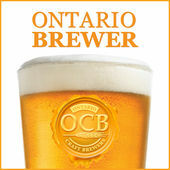 Ontario Craft Brewers is a trade organization of breweries in Ontario that represents their interests to the government. The podcast has had many forms over the years. Currently the format is to invite local beer bloggers in to blindly evaluate beer and guess which brewery made it. The guessing game is fun and it helps reinforce your knowledge of craft breweries in Ontario. I’m hoping they change up the format in 2016, there is a lot going on with craft beer in Ontario (especially outside the OCB membership) and the podcast could do a lot more to explore that. Recommended for craft beer fans in Ontario. Hosted by Matt Gibson, this is another non-homebrewing podcast, but focused on local to Toronto (and Ontario) beer. He has had some interesting guests on, including Great Lakes, entertaining to listen to. Recommended for Toronto beer fans. As I write this post this podcast is only one episode in, but it was pretty good so I am eagerly looking forward to episode two. Denny and Drew are famous in the homebrewing world, they have great on-air chemistry and co-authored a book called Experimental Brewing. I’m looking forward to see what they do with this new podcast. I first heard about these guys through Milk The Funk, when they were talking about having some sour beer discussion on their show. I haven’t delved too deep into their podcast yet, so I can’t really say too much. I enjoyed the one show I’ve listened to. They seemed take inspiration from The Session with a cast of staff on the air that helped keep things entertaining. Thank you for checking us out! Hopefully we keep getting better! Reblogged this on Hive Mind Mead.